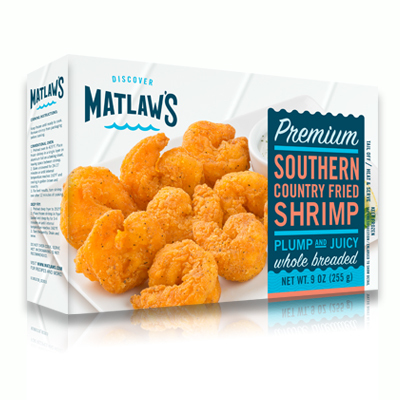 Plump and juicy on the inside, and crispy on the outside, Matlaw’s premium Southern Country Fried Breaded Shrimp is seasoned with a flavorful and original blend of southern spices. 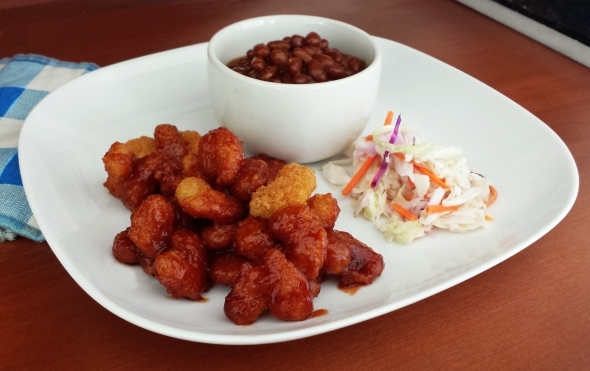 This restaurant style shrimp is unique in the breaded shrimp category. Available in a 9 oz carton. 1. Preheat oven to 425°F. Place frozen shrimp in a single layer on aluminum foil on a baking sheet, leaving space between shrimp. 2. Bake uncovered for 24-27 minutes or until internal temperature reaches 160°F and coating is golden brown and crunchy. 3. For best results, turn shrimp over after 12 minutes of cooking. 1. Preheat deep fryer to 350°F. 2. Place frozen shrimp in fryer basket and deep fry for 3-4 minutes or until internal temperature reaches 160°F. 3. Turn frequently. Drain and serve.